Beneath the grime, it’s clear Bernadette is beautiful and rich. 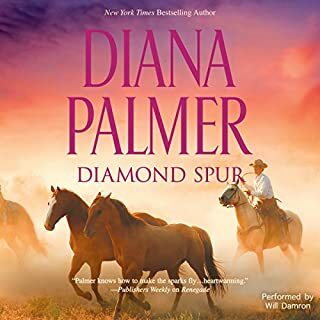 But is she just another heartbreak waiting to happen or has Eduardo finally found the one woman who can save his ranch and heal his heart? The Spanish count can provide Bernadette with the title she needs - but can he return her feelings? Gazing into her husband’s penetrating eyes, Bernadette sees not only his calculating ways but also his quick arousal to passion. Will their growing desire be enough to overcome the mounting challenges they face…and to claim the love she will not be denied? ©2012 Diana Palmer (P)2012 Brilliance Audio, Inc. I really enjoyed this book. It wasnt just a love story but a book that showed struggles in relationships. Its about forgiving people and having the courage to move ahead in life dispite hardships. I was sorry it ended....I didnt want it to end. I liked the reader once I got passed his breathing. He inhales rather loudly but once I got into the book I hardly noticed the breating. . Also, his accents were great for all the characters. THIS LITTLE BOOK PACKS A PUNCH! 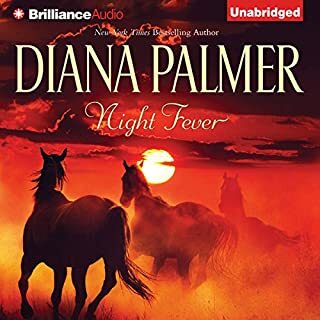 As I am awaiting the arrival of my new monthly credits, I needed an inexpensive audiobook, and not a long one at that. Oh my goodness, this little book was so much more than I bargained for! It was so good!! This book has a lot of redeeming qualities in the lives of the characters. 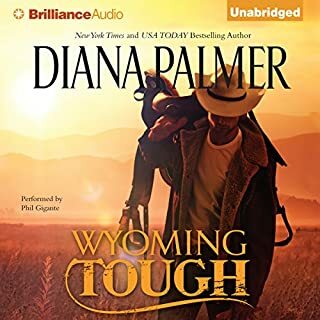 Palmer did a wonderful job in creating some of the most beautiful transformations in father-daughter, husband & wife, and within in-law relationships which was so heart-warming to witness. 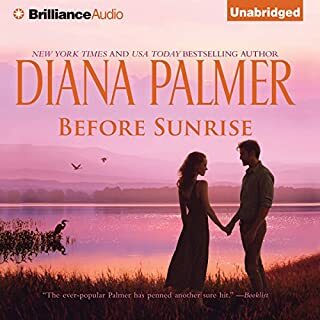 Bernadette Barron is the daughter of a wealthy Irish immigrant who experienced a rags to riches story and now nurses a fervent ambition to marry his daughter off to a suitor of noble blood. Eduardo Cortes fit the bill because of his long, proud, noble Spanish ancestry (with connections to royalty) who was also in needs of the funds such an alliance would offer.--He's also a close friend of the family. Yet, some of the hardest lessons learned are that having money doesn't exactly equal acceptance among the much-established nobility. In addition, another lesson is that just because one might appear to be physically frail, does not equal weakness, as both Eduardo and his grandmother & cousin learn in dealing with Bernadette. Bernadette may suffer from severe asthma, but OMG she is no push over with her Irish temper and passion, as she gains the respect of those who most oppose her. I loved how she stood up to her in-laws when they tried to bully her. I also love how she dealt with Eduardo during misunderstandings. This is a beautiful love story between Bernadette & Eduardo. Eduardo and Bernadette learned to trust each other and share burdens as they healed from past hurts and faced the future with faith. Ok, I have to mention this….there is such a great description of an organism in this book…it was kind of funny, but still on point…haha. The narrator was fabulous! Wow! I loved his Spanish, Irish accent and the way he voiced each of the characters. Todd Haberkorn was truly impressive! 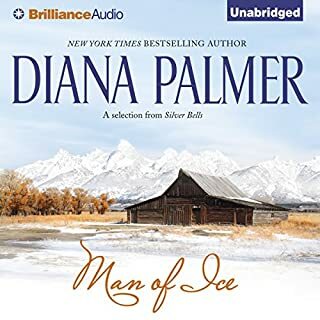 This was my first Diana Palmer books, but certainly not the last. I recommend this book, whole-heartedly, to anyone who is seeking a quick, feel-good book at a great price! No need to use a credit for this one. I must say this was a really enjoyable read. Very hillarious, smoldering and romantic at the same time. A must read. loved the Narrator did a awesome job of bringing my Favorite characters alive his voice matched perfectly with them! I was hooked from the beginning of this one, great that her father's heart took a turn for the good of his daughter. And how her romance began to blossom forth....I laughed and teared throughout this audio. 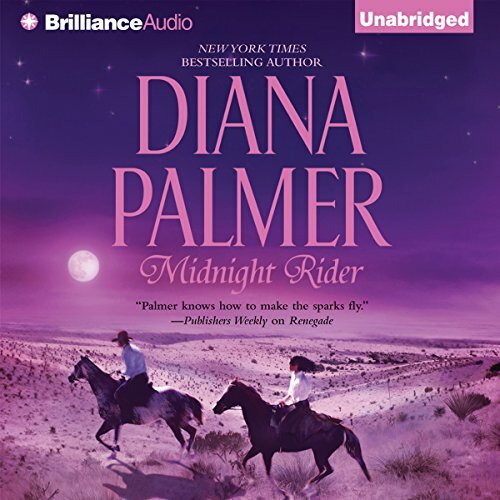 Where does Midnight Rider rank among all the audiobooks you’ve listened to so far? What does Todd Haberkorn bring to the story that you wouldn’t experience if you just read the book? Antonio Bandares.... His voice and the charm he brought to the book had me envisioning Antonio Bandares as the El Conde in this story. He tells a great story.... he gives Life to this story and that I truly enjoy, his female voices are captivating as well. No extreme reactions.... It was just delivered in my opinion very well. So many men storytellers struggle between the female characters,making them almost sound the same making the story hard to follow. He does a great job with each female character, giving each one of them their on personalities. 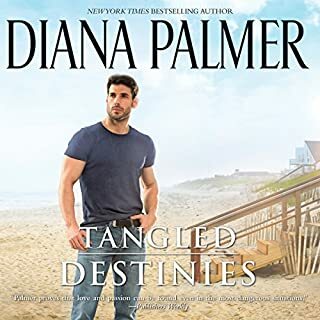 This is a classic Diana Palmer, it has a naive lead character, an insecure man, and the of course troublesome women. Haberkorn makes the story, the story line is not any different from most of Palmers' stories,he brings life to each of the characters. therefore, making a seemingly unoriginal story an awesome listen. Can't think of even one. Why would one change a good thing? Have you listened to any of Todd Haberkorn’s other performances before? How does this one compare? No. This is a first for me and a nice start If I must say. Could you see Midnight Rider being made into a movie or a TV series? Who should the stars be? No. It should just be left as a book. Nice book everyone take my word for it.